I’ve been playing with the HTC One X for the past couple of weeks and switching between the Sense 4.0 skinned Android device and the Galaxy Nexus, which we’ve reviewed here, I often crave for the latter’s stock Ice Cream Sandwich experience. Don’t get me wrong, HTC has done some great work with its widgets, customizable dock and lockscreen and social integration, but you can’t beat the crave for those stock Android 4.0 neon-blues, especially on such a lovely 4.7-inch display. There are already a number of custom ROMs for the One X, some with Sense and others without, but what about the most popular aftermarket rom of all, CyanogenMod. 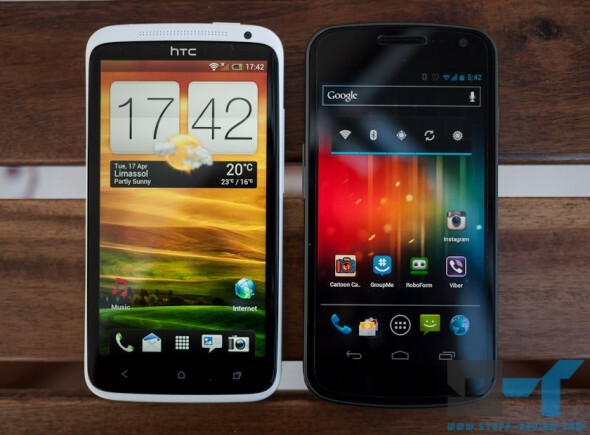 Well a developer has ported the latest CyanogenMod 9 (CM9) build to the Tegra 3 bearing HTC One X and released it to the public. As you might have figured, this isn’t a CyanogenMod official release, and this ROM isn’t perfect, with the camera and Wi-Fi hotspot functions not working, but everything else is in order and should get you as close to stock Android as possible. With that in mind. the multitasking key is remapped to the menu key so that you can avoid that odd single menu bar at the bottom. If you are feeling adventurous then you’ve just found your weekend project. Head over to the source link for the ROM file and instructions. Note only the Tegra 3 version of the HTC One X is supported, anyone with an LTE Qualcomm S4 device will unfortunately have to wait.